Septic Systems: all types – new or replacement installations and repairs to old systems. 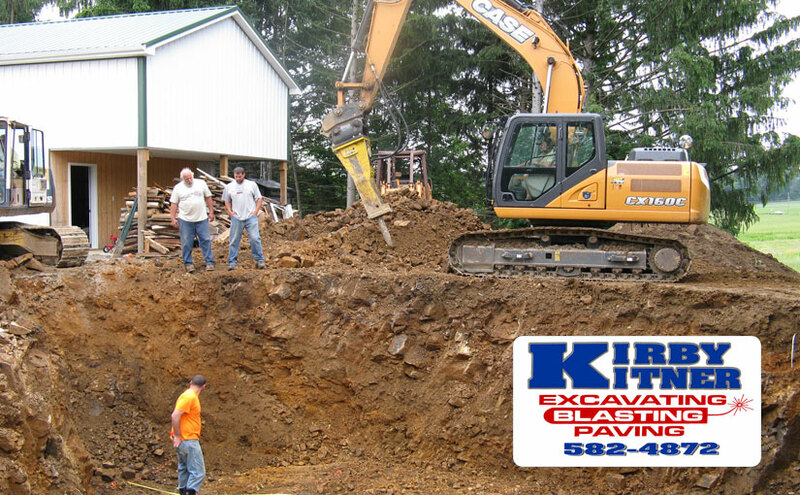 Kirby Kitner can offer expert consultation on septic systems and keep your system up to DEP code. About: Septic systems commonly used in rural areas without centralized sewer systems. They are underground wastewater treatment structures used in households or commercial plumbing. They use a combination of nature and proven technology to treat wastewater. The drain field is a shallow, covered, excavation made in unsaturated soil. Pretreated wastewater is discharged through piping onto porous surfaces that allow wastewater to filter though the soil. The soil accepts, treats, and disperses… wastewater as it percolates through the soil, ultimately discharging to groundwater. If the drainfield is overloaded with too much liquid, it will flood, causing sewage to flow to the ground surface or create backups in toilets and sinks.